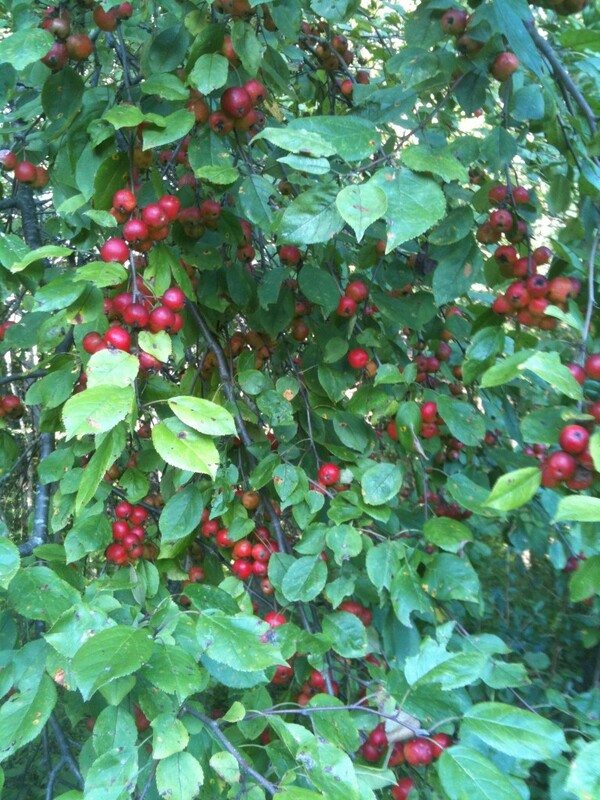 We’re in the season of mists and mellow fruitfulnessand this year, lots and lots of crabapples. This entry was posted in nature on September 22, 2013 by John. Information does not want anything. It’s not conscious. It has no agency. Somewhere on a shelf of a used bookstore in New York City is the last printed version of a mediocre novel from thirty years ago. Tomorrow it’s going to be sold and pulped. The information in that book will disappear not because it did not sufficiently yearn to be free; it’s going to disappear because no one wanted to read it. I realize that the people who make this remark about freedom (presumably) understand in some sense that information itself has no volition. But their assignation of agency to information clouds any discussion of what’s really going on. They pretend there’s a natural force at work. There isn’t. Nothing going on here is as inevitable as gravity. These freedom-speakers are not uncovering a cultural secret or a scientific law like those discovered by Kepler. Instead they’re obfuscating an important discussion with a slogan that probably sounds really cool at the happy hour of a tech conference. To state the obvious: People make choices about how to share information, what to buy, what to borrow, and what to steal. Technology (which is created by people) and custom (which develops through the actions of many people) over time can greatly influence how people act. Technology, culture, and economicsall fashioned by people, moment by momentaffect the flow of information. If we’re going to have any kind of a meaningful discussion about access to information, economic remuneration, artistic freedom, or that (to some, dread) word, “copyright,” then let’s at least focus on what is necessary, what is provisional, what choices are being made, who’s making them, and what they have to gain by making them. How to distribute data and how or even whether creative people should be paid for their work are important questions. Let’s discuss them seriously. This entry was posted in publishing on September 22, 2013 by John. I just finished what I’m considering a decent first draft of a story that occurred to me in 2010. Sometimes writing feels like giving birth to an elk. This entry was posted in creative writing on September 2, 2013 by John.